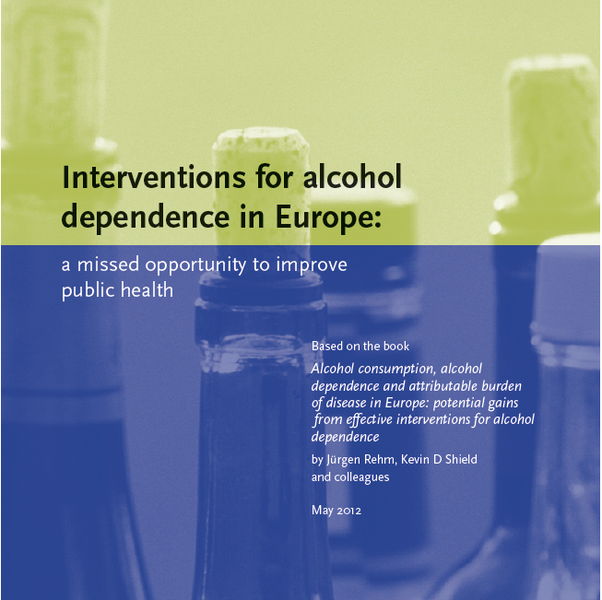 On 10th May 2012 , the report on 'Interventions for Alcohol Dependence in Europe: A missed opportunity for public health' was presented in the European Parliament in order to raise awareness on the need to tackle the issue of Alcohol abuse in Europe. This report presented for the results of extensive research comparing alcohol consumption patterns, alcohol dependence and the burden of associated disease across the European Union. In this framework, MEP Elena Oana Antonescu (Romania, EPP) stressed that "Although alcohol is high on the EU as well as many national policy agendas, it is often under prioritised in health policy due to difficulties in defining and addressing the problem." The EU institutions should "rise to this challenge by renewing and improving the EU Alcohol Strategy with a view to achieving comprehensive and effective alcohol plans across Europe that include provisions on alcohol dependence". In the course of the launch event in question, participants called for a renewal of the EU Alcohol Strategy, and for it to encompass an integrated approach to alcohol policy, from prevention to treatment particularly in light of the social costs attributed to alcohol consumption in the EU (€155.8 billion in 2010). As presented in the summary report, more than 60% of these costs can be attributed to alcohol dependence described as a chronic brain disease that is currently undertreated in the EU.